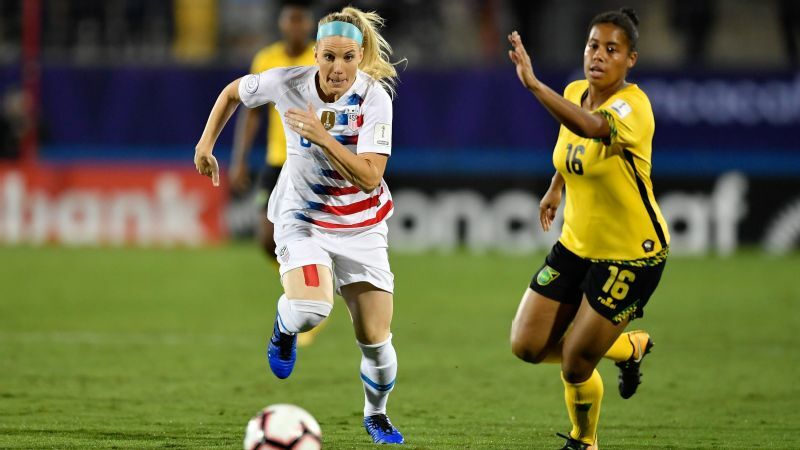 Julie Ertz and the U.S. women will be on the grandest stage this summer. But precious time alone in Portugal for their annual January camp was the perfect start to 2019. It wasn't a coincidence that a team that will absorb as much attention as almost any in American sports this year opened its calendar far from the public eye. It made sense for the United States women's national team to hold its annual January training camp in Portugal this year. It was familiar territory from years of past participation in the Algarve Cup. The area offered a smaller footprint than greater Los Angeles, where the team typically holds its January camp. Saving 30 minutes or more going to and leaving practice in Southern California traffic, without sacrificing climate, is no small boon for tired bodies. And with its opening games of 2019 in Europe -- first against host France on Saturday in Le Havre's World Cup venue and then back on the Iberian Peninsula to play Spain for the first time (ESPN2, 2:30 p.m. ET Tuesday) -- it was practical to be able to adjust to time and surroundings ahead of those matches. But in a year in which the Women's World Cup will bring a surplus of attention, Portugal offered the U.S. women something otherwise in short supply regardless of how the next six months unfold: time to themselves. 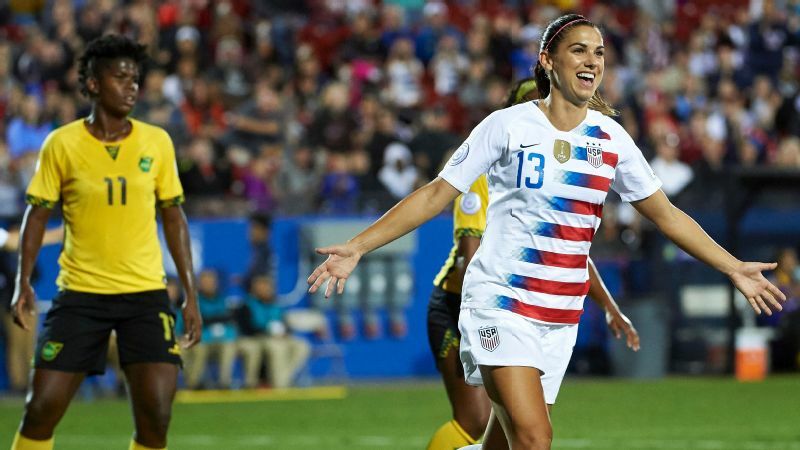 "I actually said to them it's about the work we do on the field, but it's also investing in each other," U.S. coach Jill Ellis said of her message to players as training camp began the second week of January. "Ultimately, if you can have a very cohesive and tight unit, it obviously will pay dividends down the line. It's tranquil here. It's only us. It's allowed us to not only interact with each other, but the players can get some relaxing time on their own if they want to." Against France, the U.S. women will face a fellow World Cup contender on Saturday. Like pushing off at the top of a ski jump, there is no longer any slowing the momentum that propels them forward to June. 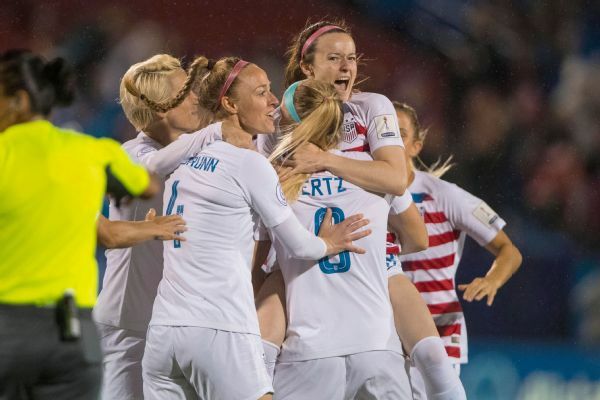 After returning home following these games, players will gather in February for the SheBelieves Cup, begin preseason with their respective NWSL teams and navigate the early weeks of that season and the five remaining U.S. friendlies in April and May. The tranquility will presumably be left behind on the beaches in Portugal. And yet, perhaps they can carry some of that feeling forward. As the defending World Cup champions and the current No. 1 team in the world, the U.S. women have legitimate reason to believe that they, more than any other team, control what comes next. This year is about them. Training camp was the starting point. "This is probably the longest period of time we'll have together, in terms of in training," Ellis said toward the end of the camp. "So we're just really trying to get a lot covered, get a lot reviewed and build their physical base on top of the work that they've done coming into here." Ellis stopped short of saying the final World Cup roster will come exclusively from among the 27 players who were in Portugal. 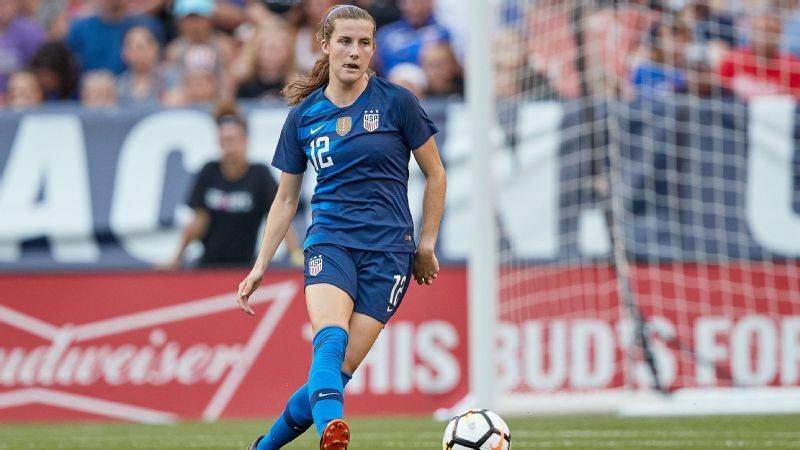 That included defenders Kelley O'Hara, who had ankle surgery in October at the conclusion of World Cup qualifying, and Tierna Davidson and midfielder McCall Zerboni, who missed qualifying with ankle and elbow injuries, respectively. For young players like Hailie Mace and Savannah McCaskill, or veterans like Allie Long and Amy Rodriguez, none of whom were in Portugal after playing 2018 minutes, the bubble hasn't sealed. But it might be close. "The players that are in here have proven themselves to be very deserving to be here," Ellis allowed. "They have the qualities we feel we need to be successful." That means that what we see on the field against France and Spain should look familiar. Crystal Dunn is the left back, albeit with a heat map that at times looks more like a wide forward. Alyssa Naeher is the No. 1 goalkeeper. Carli Lloyd continues as a No. 9. And on and on. We know what the U.S. women are, what they will look like. The time remaining is about repetition. It's a great test for us. It's a great challenge to see where we are, where do we need to get better. The past two years, for instance, gave us Julie Ertz as a defensive midfielder, Lindsey Horan as a mature box-to-box presence and Rose Lavelle as a needed attacking and creative spark. The U.S. women have their preferred midfield, by all appearances. Now they rehearse. "We've got a nice blend in there, in terms of the profile of our midfielders," Ellis said. "We've got three players in there that have had good time together, in terms of minutes on the pitch, and seeing how they start to blend and mesh is going to be part of this next period." Ideally, much of the remaining preparation time in midfield would be spent together as a trio. But if any lingering injuries or ailments from training camp make that infeasible, that, too, is useful in its own way. It is unlikely the United States or any country will be fully healthy when the World Cup arrives. It is even more unlikely a team will stay healthy through seven games. For that matter, it's good to play these games on the other side of the ocean. Even if, as was the case in wins last fall against Scotland and Portugal, it isn't always a pleasure to watch. "Part of what's important for me is for our players to play on the road," Ellis said. "That's why I went to Scotland and Portugal. Having four games in Europe is going to be critical before we go over for the World Cup. Because it's about us, I think it's fantastic that we're playing these teams. We're gaining and learning more about ourselves every time we come off the pitch." 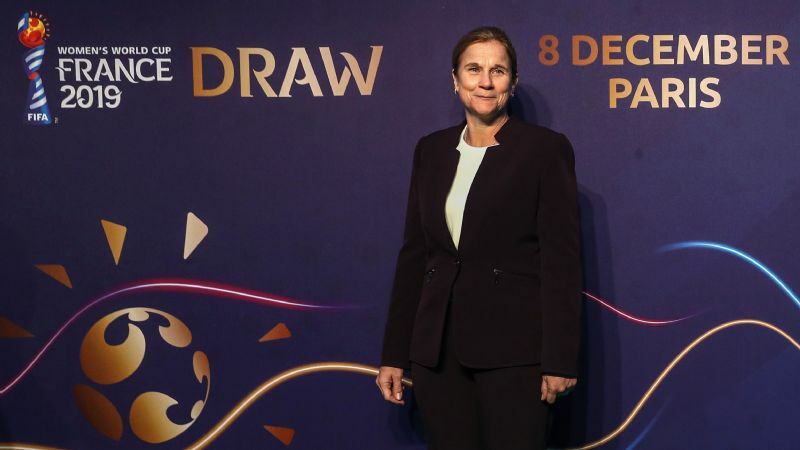 The World Cup draw left the U.S. women with as comfortable a group assignment as they could have hoped for, long shots Chile and Thailand alongside familiar nemesis Sweden. But the likelihood of success in the group could be its own trap, given some of the potential scenarios that come with finishing first. The United States could face Spain in a potential round of 16 game and a potential quarterfinal against France in Paris. 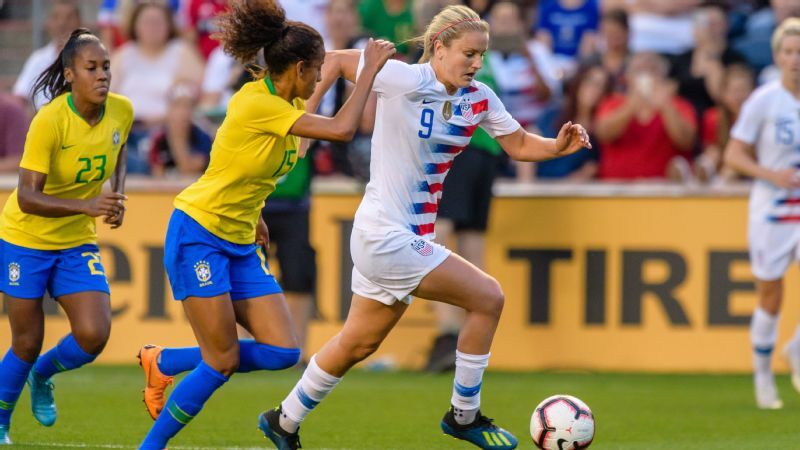 By all appearances, the United States has worked out its preferred midfield, with Lindsey Horan, above, starting alongside Julie Ertz and Rose Lavelle. 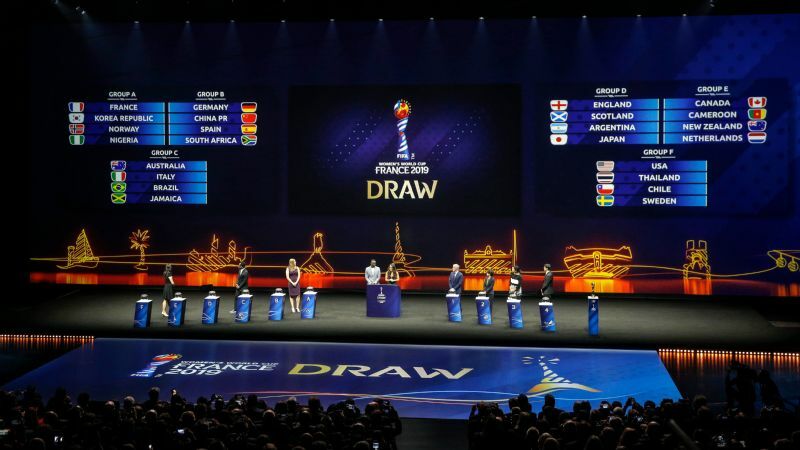 The upcoming January games against those two countries were in the works before the draw last month, but Ellis saw no downside to these rehearsals -- even though the rosters for France and Spain are dominated by club giants Lyon and Barcelona, respectively, and stocked with players in the middle of their domestic league seasons. "There's going to be growth, and there's going to be changes," Ellis said. "Would I want to play an opponent a month out? No, because then you're in your final prep and teams are really fine-tuned. Right now, it's a great test for us. It's a great challenge to see where we are, where do we need to get better. We're playing against players who are in season. We need this." Not because they need to beat France and Spain right now in order to beat them in June. Because these games are the best mirror available, the best opportunity to see themselves.